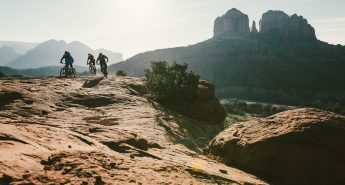 Sedona’s outstanding natural beauty is matched by the hand-built perfection of its mountain bike trails and the relaxed yet sophisticated vibe of the town. Whatever your level of riding, you’ll find something you love here, whether it be the techy rock features on advanced trails like Hiline and Hangover or the smoother trails of the Mescal area. No matter where you are, you’ll be astounded by the views and incredible scenery. Getting here is remarkably easy as it’s quite close to two major airports: Phoenix (2 hrs drive) and Las Vegas (4.5 hrs drive). We flew into Vegas from Vancouver, hopped in our rental mini van and were on our bikes doing the Central Sedona Rip by 5 pm that evening. you can read more about it here: Sedona Mountain Bike Festival. While Sedona is gorgeous at any time of year, spring and fall are likely the best times to visit. Summers can be scorching hot and winters can be cool. That said, cool in Sedona is still not that cold, so a winter getaway to Sedona isn’t a bad idea. The typical time to visit is March – November, but if you do visit in July or August be prepared to ride early or late at night with your night lights as the summer heat can be intense. One thing to note about Sedona itself is that it lacks a definitive downtown or centre. Upper Sedona is home to galleries and gift shops galore as well as a number of more posh accommodation options. West Sedona is a somewhat spread-out area that gradually thins out as you head west on Hwy 89A. Don’t let this deter you though – there are lots of gems in terms of restaurants and accommodations in this area. It’s also a good region for accessing a lot of the riding. Finally, the Village of Oak Creek is several miles south of Sedona, but is still part of the same larger community. 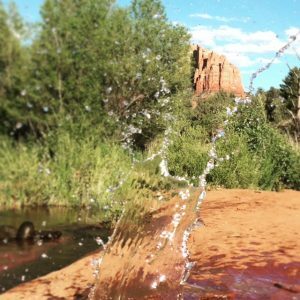 The Village of Oak Creek is perhaps a bit less bustling than Upper or West Sedona, but it’s equally saturated with breathtaking views and it also enables easy access to Hiline trail and the Hogs trail system. Sedona sits at 1320 meters (4330 ft) above sea level so if you’re from lower elevations, it might to take you awhile to acclimatize to the altitude. At least you’ll have an excuse if you feel slow on the climbs! Also a word of caution on the vegetation: there are cacti at trail’s edge no matter where you’re riding in Sedona. Resist the temptation to seek new lines or you might find your tires (or your legs) slashed. 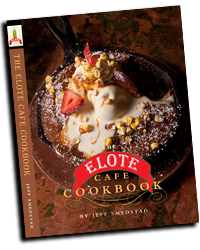 Watch out especially for the Agave plants, which are about as sharp and deadly as a bushel of chef’s knives lurking trail-side. While you’re unlikely to run out of things to do in Sedona itself, it’s worth noting that Sedona’s location allows for exploration of some of the United States’ most stunning and awe-inspiring parks. The Grand Canyon, Zion, Bryce Canyon and Joshua Tree are all within an easy half-day (or less) drive. Depending on where you fly or drive in from, it could make sense to add a day or two of park exploration onto the front or back end of your trip. If you need an escape from the heat of the desert you can do the 45 minute drive up to Flagstaff which has some fantastic high elevation mountain biking. We recommend that you download the Trailforks app (free in the app store for iOS and Android) to access this trail map on your smartphone and use your phone’s GPS to position you on the map while you are out on the trails. This app can be used offline as long as you pre-load the maps ahead of time, making it an ideal option when traveling. We also recommend that you use the Trailforks App so that you can navigate the mountain bike trails in Sedona with your phone’s GPS for the ‘Must do Rides’ below. A paper map while out on the trails is also a good idea in case you run out of battery on your device… all the shops in town sell a good paper map. Click on the rides below for more details and to sync the mountain bike route to your Trailfoks app. We love this bike shop. We know we are encouraging you to use Trailforks and your cell phone for navigation, but we always recommend a paper map as a backup and you can grab detailed maps here. The folks at OTE can also give you up to date trail beta and personalized ride ideas as well as high end rentals, snacks, repairs, guiding and whatever else you might need while in town. OTE helps organize the Sedona Mountain Bike Festiva and they’re also one of the friendliest and most helpful bike shops we’ve encountered anywhere, ever. 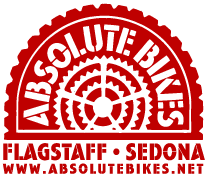 Absolute Bikes is located in Oak Creek, just south of Sedona and located very close to all of the trail heads on the south side of town including Slim Shady and the easier riding trails just south of Bell Rock. Sedona Bike & Bean is located in Oak Creek, just south of Sedona and located very close to all of the trail heads on the south side of town including Slim Shady and the easier riding trails just south of Bell Rock. Over the Edge has both standard and high performance rental bikes. If you’re not inclined to travel with your bike, don’t worry, OTE has you covered with whatever level of bike you need. Beyond your rental, OTE can also give you up to date trail beta and personalized ride ideas as well as snacks, guiding and whatever else you might need while in town. Absolute Bikes is located in Oak Creek, just south of Sedona and very close to all of the trail heads on the south side of town including Slim Shady and the easier riding trails just south of Bell Rock. Sedona Bike & Bean is located in Oak Creek, just south of Sedona and very close to all of the trail heads on the south side of town including Slim Shady and the easier riding trails just south of Bell Rock. Hermosa Tours is a fantastic outfit run by an incredibly experienced and organized team. We are friends of Hermosa and they actually contributed greatly to all that you see on the RideSpots.com Sedona page. Whether you are looking for fully guided tours or are more self-sufficient and choose their self guided options, you are sure to have an incredible time while in Sedona or any of the other destinations they serve. Hermosa also helps to organize the Sedona Mountain Bike Festival every year. These folks have their pulse on the riding scene in Sedona and time spent with them will be well worth it! We know we are encouraging you to use Trailforks and your cell phone for navigation (with a paper map as backup), but you can’t beat a personal guide. The folks at OTE can set you up with a quality guide to take care of all your riding needs… in our opinion this beats stopping the flow of your ride to look at a map or your smart phone. A good option if you’re staying in Oak Creek. Good coffee and a decent selection of baked goods and large spacious rooms if you’ve got a large group. This place is not to be missed for lunch or dinner. Sit in the garden and listen to the gently trickling fountains as you experience what truly is a healthy food oasis. Every mouthful is unique and you should take the time to linger and appreciate the care that goes into preparing the food. If you do, you’ll likely be struck by the fact that you can taste the individual ingredients in each dish and appreciate what each one adds to the overall flavour. Cocktails and desserts are also expertly crafted and intensely flavorful. Be sure to try something (if not many things!) with chocolate for desert. This is actually a chain, but it’s still a really good restaurant and the Sedona location is particularly nice. Great pizza and tons of gluten free and healthy options on the menu. This is a good choice if you’re hoping to maintain your girlish figure on your bike trip while also enjoying really tasty and well-prepared food. Really good reasonably priced restaurant that’s right across the street from Over the Edge bike shop. What more could you ask for? Yes, it’s in a strip mall, but this is a great spot for a filling, tasty and affordable breakfast. Try the huevos rancheros – super affordable if you order before 10 am and there’ll be more than enough food on the plate to fuel you for a long day in the saddle. Order by the slice or polish off an entire huge and delicious pizza. The real draw might be the 15 plus beers on tap, in addition to a fridge full of even more unique brews. With locations both in West Sedona and Oak Creek, this place is a bit of a magnet for mountain bikers. Super healthy and filling acai bowls. They start with an acai berry base, blend in other nutritious fruits and berries and then add countless delicious toppings such fresh sliced fruit, nuts and nut butters, granola, chocolate shavings, coconut and coconut oil. Choose from one of their unique bowls or custom build your own. These are an awesome post-ride recovery food in the heat when you’re not quite ready for a full meal. Care for an invigorating post-ride smoothie or nutrient packed juice? Build your own or try one of the outstanding flavour combinations on offer at the Local Juicery. They have caffeinated options too if you require a bit more of a pick-me-up. Fun spot for a post ride beer or two. They’ve got a casual indoor space as well as an inviting outdoor patio. Our favourite beer was the chocolate porter, which is brewed using chocolate produced by local Chocolatree Organic Oasis. *Note that we’re recommending the Oak Creek Tasting Room in West Sedona rather than the Oak Creek Brewery restaurant in Tlaquepaque. Cool cash-only dive bar primarily frequented by locals. Try your hand at shuffleboard and get rowdy. Incredible Southwestern food and drinks with a great vibe that’s about ten times more fun than it looks from the parking lot. Get there early, as they don’t take reservations or get there whenever you want and sip cocktails on the patio until they’re ready for you. Try something with mescal and savour the smoky tequila goodness. Food-wise, you can’t go wrong. Everything we ordered was creatively prepared and had a perfect balance of flavours. Driving by, you wouldn’t guess that this spot boasts great views and a very inviting patio, but indeed it does. Very good contemporary menu with options that will suit every palate. We had steak and ahi tuna and both were perfectly prepared and tasty. Keep an eye on the events calendar as they frequently bring in great musicians. They also have a really cool guitar collection and music memorabilia. Very classy place with incredible views and a central convenient location. While you’re there, check out the Lambos and Porsches that are bound to be in the parking lot. That aside, service is friendly and down-to-earth and the food is excellent. Cool wine bar with occasional live music. Excellent beer and wine selection and tasty bites. Looking for last minute deals? Here is a link to all of our available properties in Sedona. This is always worth a click as you can find great deals here. Located in West Sedona just across the highway from the street that leads up to the Mescal trail system, this is a great and extremely bike-friendly choice. The grounds are spacious and well-kept, there’s a clean and meticulously maintained pool and hot tub, an outdoor fire pit, a large grassy area for dogs, an outdoor play area for kids, free coffee in the lobby at all hours, and an excellent free breakfast each morning with both hot and cold options. In addition to the standard rooms they also have the option for full large suites which will suit people looking for more space. The manager, Rob, is an extremely avid rider who has made it his mission to ensure that the hotel provides every amenity the traveling mountain biker requires. Be sure to make use of the well-equipped bike wash station and the on-site guest laundry. Rooms are clean, spacious and comfortable. Bikes most definitely allowed in rooms. Sedona Real Inn and Suites is highly recommended. Very mountain bike friendly. Located right at the Slim Shady trailhead in Oak Creek. This is an awesome place to stay and is quite budget friendly given the other options in Sedona. The grounds are huge and the views from the rooms are awesome, giving you a real sense of where you are. There is also a central grassy area and a hot tub for post ride relaxing. An awesome base for your Sedona mountain bike holiday! Located up the hill right beside the small airport (which is also the site of one of Sedona’s 4 vortexes). This is a super unique location. Units are cute and the feeling is almost old fashioned. This is a really cool place to stay and also extremely unique as you have 360 degree views of the surrounding area. 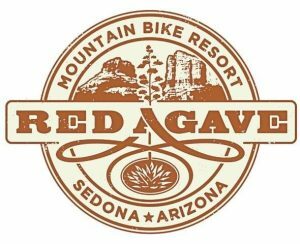 This is a great place from which to stage your Sedona mountain bike vacation, especially if you prefer not to stay in a chain hotel. The Whispering Creek B&B offers luxury accommodations and breathtaking views of the red rock mountains with a fabulous hearty breakfast to start each day and keep you well fueled for the days ride. Located in Sedona walking distance to many of the shops and restaurants. There is an area to wash bikes and mountain bikes can be brought into the rooms if they are clean. Located in Oak Creek right near the Slim Shady Trail head! Located just South of Sedona in Oak Creek. Fully equipped suites with kitchens so you can have your home away from home… located on the golf course, not why you came to Sedona, we know, but the location is nice. Located in West Sedona. One and two bedroom suites with full kitchens so that you can have your home away from home while on your mountain bike holiday in Sedona. This is a timeshare and some people report that they might try to give you a sales pitch… this could be annoying, but may be worth it if you want a spacious suite and your own kitchen for your holiday. This is a state run park with Cabin rentals… nice option if you are not fully set up for camping. This is one of the closest state camping areas to Sedona and is a group campground. Location north of town on Oak Creek. Sedona has loads of incredible swimming holes. Oak Creek runs right through town and as such there are countless spots to swim and relax after a day of riding in the desert. We are listing just a couple of the good ones. The first one we are listing is the most famous, and likely one of the coolest. The second one is also really awesome, free and much quieter due to its slightly more challenging access. You should plan on visiting some swimming holes in town as there is nothing like relaxing in a desert swimming hole oasis after an incredible mountain bike ride! Stunning creekside park carved into the canyon with lots of flat rock slabs on which to chill, people watch and dip your legs in the creek. There’s a $30/car access fee, but it’s worth it, especially if you can get there on a week day when it’s less busy. A lucky few can find free parking alongside the road to avoid the access fee, but this also involves making your way down a somewhat treacherous footpath (best not attempted in flip flops). This beach can be accessed either via Red Rocks State Park (off of Red Rock Loop Rd. just west of West Sedona) for a fee, or for free from the other side of the creek via the tail end of Verde Valley School Road just south of Oak Creek. We recommend the latter for obvious reasons, but whichever way you approach it from, this is a gorgeous spot for a refreshing dip in Oak Creek with outstanding views of Cathedral Rock. On the State Park side, there’s a massive and very cool collection of rock cairns. The site is also home to one of Sedona’s four vortexes. You need to park about 1/4 mile away right here and then walk down to the beach. The road riding in Sesona is really good. If one of your group is not a mountain biker, they will still have an incredible vacation on their road bike. You might also bring your road bike along if you are in training mode. Endless sandstone rock as far as the eye can see makes for excellent climbing and deep, gorgeous canyons make for incredible canyoneering. Multipitch, trad and sport climbing can all be found and enjoyed in Sedona. More information is available here, and if you’re looking for a guide, Centre Focus Experiences offers tours. Hiking/trail running and biking trails in Sedona are often one and the same, so if there is a hiker in your group, they may actually enjoy some of the same trails you’ll be riding. 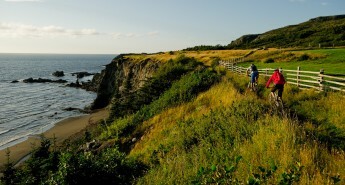 That said, we heard there are also dedicated hiking trails too. 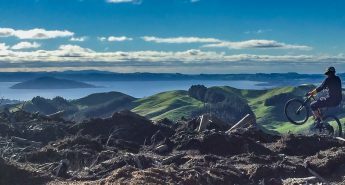 The Hike House website has an excellent listing of hikes in the area and they can also provide in-store beta on where to go. The West Fork trail is often thought to be the most beautiful hike in the area. Located just outside of Flagstaff (less than an hour north of Sedona), this place offers family friendly adventure that’s equally fun for kids and adults. An outdoor playground that tests skills and fitness, the elevated courses include rope swings, scrambling walls, hanging nets, wobbly bridges and other unique obstacles. Sedona is home to four energy vortexes that have been sought out for spiritual reasons for centuries. Energy from the vortexes has a residual magnetism in spots where it is particularly strong and highly sensitive people are often able to feel the energy or magnetism. The phenomenon can actually be observed in juniper trees that grow in close proximity to the vortexes with a resultant axial twist in their branches. Sedona’s 4 main vortexes are located at Red Rock Crossing (Buddha Beach), Bell Rock, Boynton Canyon and up near the hilltop airport. The largest known petroglyph site in the Verde Valley. As mountain bikers we are not entirely sure why you would want to do a Jeep tour as you will likely be riding past the Jeeps during your visit at higher speeds than they move at… but if you or someone in your group is in the mood then there are plenty of options in town. A helicopter tour of the area would be an incredible post mountain bike ride way to see the area. Unfortunately we are not aware of anyone doing helidrops or helibiking for mountain bikers. There are many outfits offering sightseeing services and if your budget allows this would be a highly recommended activity as there are not many areas that are as uniquely scenic as Sedona. There are loads of options available in town and a quick google search will sort you out. The Out of Africa Wildlife Safari Park is not the type of place we normally visit while on a mountain bike trip, but we were invited to check it out and we found it to be quite fascinating and well run. We did the VIP tour which was a really good way to see the park. There is also a ZIP line, which we did not try out but it looked pretty fun. The animals (ranging from lions, tigers, bears and zebras to snakes, lizards and lemurs) have been rescued from various places and are now cared for by people who clearly love and care for them deeply. This might be an activity best suited if you have small children or a keen interest in animals. A really great gallery with some incredible local art. Located right across the street from Famous Pizza and just up the road from Sedona Real Inn and Suites. A perfect lazy afternoon cultural activity after mountain biking. Yoga: Here are a few yoga places to check out in Sedona… a great rain day activity (rain in Sedona??). Just in case you weren’t hot enough in the desert!